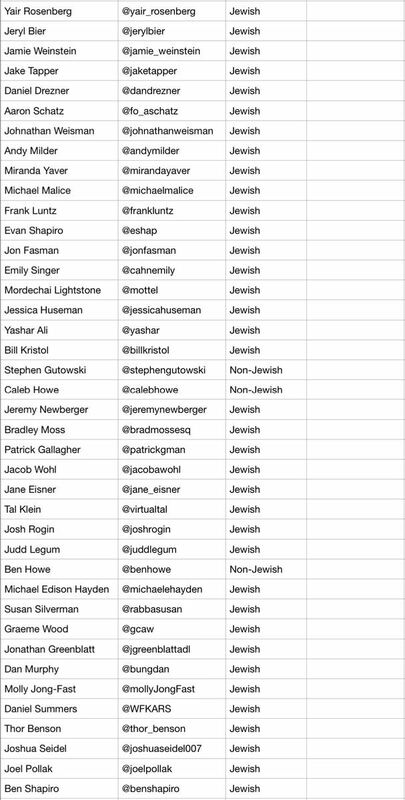 Paul Nehlen has made a list with all the people who are actively attacking him on Twitter for his stance on America First and for opposing immigration. The media is going into frenzy mode calling Paul Nehlen, who only observed the obvious, an “Anti-Semite” and his list “Schindler’s List”. Nehlen is right, when Jews make lists with white people such as the ADL or SPLC’s recent “White Extremist” murder lists, labeling them monsters from the pits of hell, everything is alright and fine? And when white people make lists of Jews who attack other White Americans, it is antisemitism? The media reprints lists of white people calling them all sorts of names, “White Supremacists”, Neo-Nazis, Haters, Bigots, Racists, and so on.